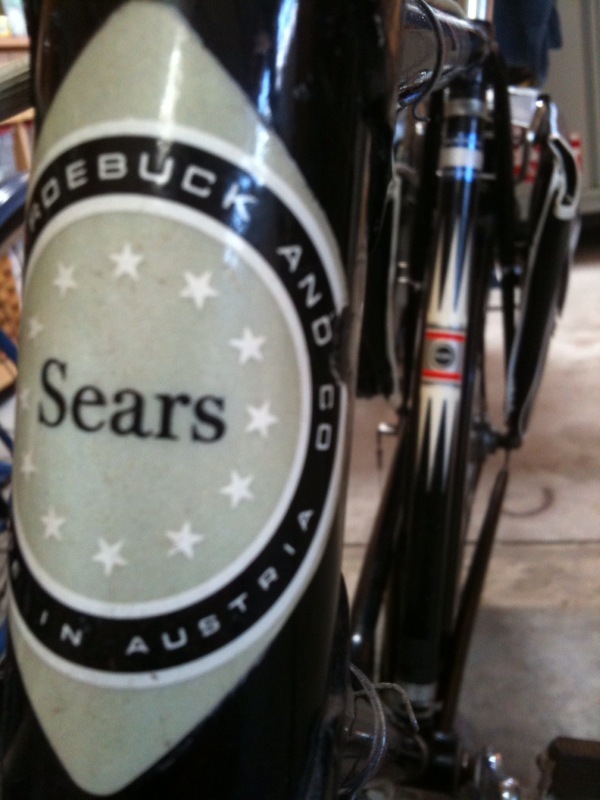 Sears’ Best bike… made in Austria! This Sears 3 speed bike, circa 1966 or so, is one I used to own. I sold it to a friend about 3 years ago. It is from Austria. I doubt you can buy much made in Austria at Sears today. 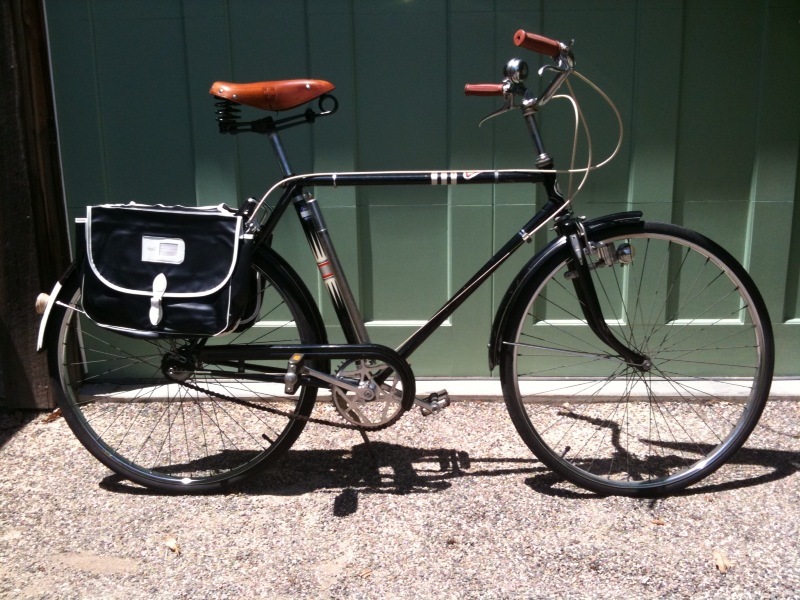 The Saddle is a “Lepper” brand and is from Switzerland… the front generator light is a Soubitez from France… the rack and kickstand are Pletscher from Switzerland… the pannier bags are also from Sears… black vinyl… with white contrast trim. It is a very basic but beautiful black bike. I don’t know why I love bikes so much.